On the February 14th episode of Keeping up with the Kardashians, Kendall Jenner told Kylie that she finally needs to break up with Tyga as she is tired of seeing her upset and sad over him. 18 year old Kylie broke down crying o because she and Tyga, 26, because have so many issues. The girls were filming a music video for Kris Jenner's 60th birthday party but Kylie just couldn’t have fun with her sisters. When they start to ask her what’s wrong she starts crying and storms off! Kendall’s 20th birthday party was coming up and they were all discussing who was going to attend, and Kendall said she invited Tyga. 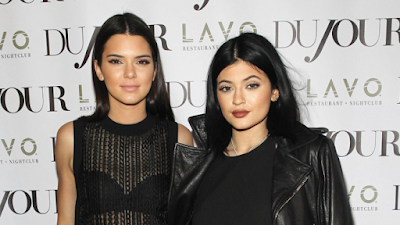 “I invited Tyga before Kylie and Tyga had their issue,” Kendall said. “She’s really vague when it comes to Tyga,” Kendall explains. Kendall looked Kylie in the eyes and said, “I don’t think you actually want to even experience things. Whoah, tough love can be harsh"
The whole time at Kendall’s party, everyone is trying to cheer Kylie up but she’s just not having it. Until Tyga runs up to her and puts his arm around her and all of a sudden everything is just peachy — how insane is that? “I totally knew they’d be fine when they saw each other, I knew they’d get back together. That always happens. It just is what it is,” she said.